Are you in the UK, Ireland, Australia, NZ, the Commonwealth, Malaysia? Would you like to read the plain eBook in ePub format? Would you like to download the plain eBook from Google? Would you like to download the plain eBook from Amazon? Would you like to download the ENHNACED eBook? It's a very large file and works best on iPad, but most elements will work on other platforms. Here is the complete list of territories for which Granta has the exclusive e-book rights. If you are in one of these countries, you should buy this version. 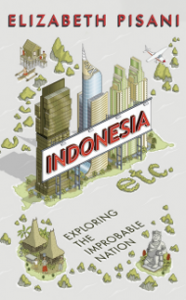 Be the first to comment on "Indonesia Etc eBook page for UK and Ireland, Commonwealth, Malaysia, more"